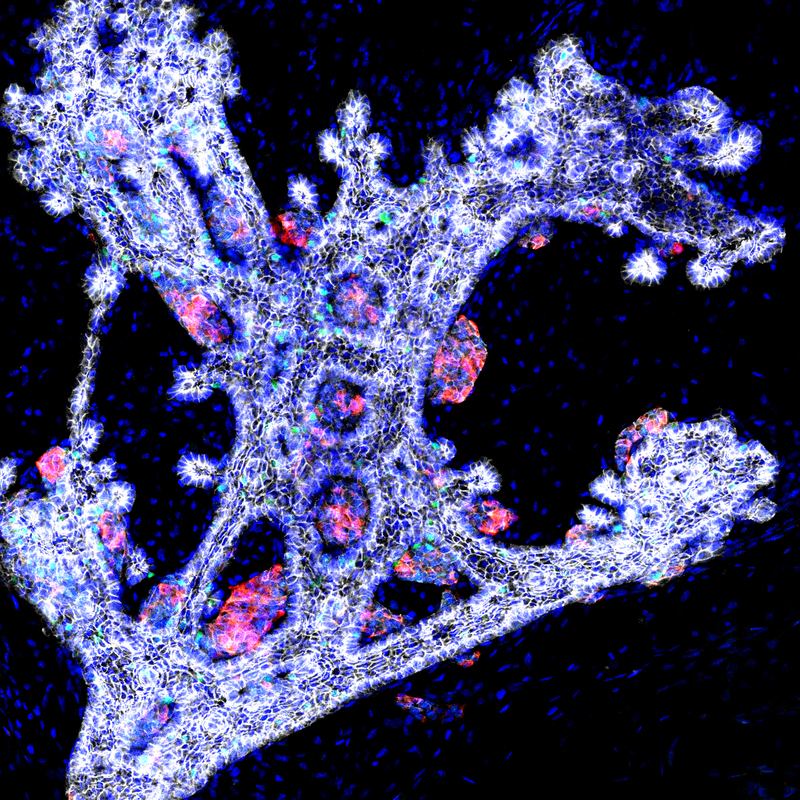 Scientists have discovered the signals that determine the fate of immature cells in the pancreas. The research shows that they are very mobile and that their destiny is strongly influenced by their immediate environment. This breakthrough will facilitate the manufacturing of pancreatic islet cells from stem cells and might help combating type 1 diabetes. Prof. Dr. Henrik Semb who led the study recently joined Helmholtz Zentrum München. Type 1 diabetes is an autoimmune disease destroying the insulin-producing beta cells in the patient’s pancreas. Current approaches for replacement therapies aim to generate insulin-producing beta cells from human pluripotent stem cells. Until now, the engineering of specialised cells from pluripotent stem cells has largely been based on empirical knowledge of what works. “We have now been able to map the signal that determines whether pancreatic progenitor cells will become endocrine, such as insulin-producing beta cells or duct cells”, says Prof. Dr. Henrik Semb. He is the Director of the Institute of Translational Stem Cell Research at Helmholtz Zentrum München as well as Professor and Executive Director of the Novo Nordisk Foundation Center for Stem Cell Biology (DanStem) at the University of Copenhagen. “The cells are analogous to pinballs, whose ultimate score is based on the sum of pin encounters. They are constantly moving around within the developing pancreas, leading to frequent environmental changes. We show that the exposure to specific extracellular matrix components determines the ultimate destiny of the cells,” Semb explains. Through the detailed analyses by the two first authors from DanStem Drs. Anant Mamidi and Christy Prawiro the researchers then uncovered the molecular details of the respective signaling pathway and were even able to validate the physiological relevance in vivo during pancreas development. “We can now replace significant numbers of empirically derived substances, whose mode of action in current state-of-the-art differentiation protocols is largely unknown, with small molecule inhibitors that target specific components of the newly identified mechanosignalling pathway”, Henrik Semb explains.